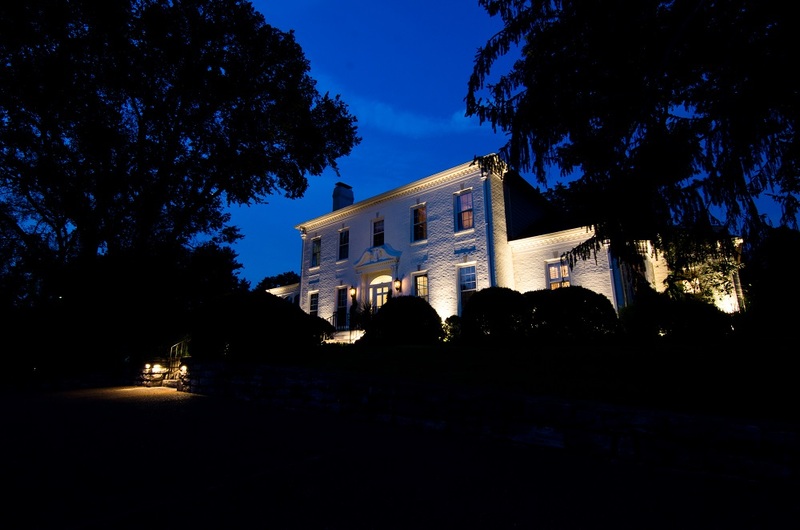 Outdoor lighting enhances your home and landscape every evening through every season. Comfort and Joy – By adding outdoor lighting, your home will appear warm and inviting bringing an air of comfort and joy to the season! In contrast to a dark and drab home, your illuminated home will draw people in and offer a warm refuge for family and friends with curb appeal galore. 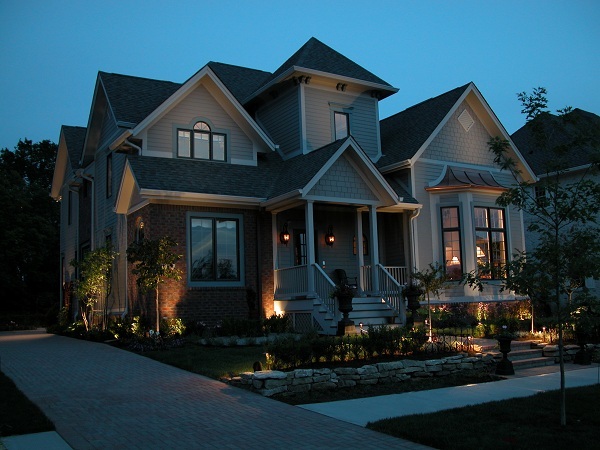 Safety – Outdoor lighting adds safety to your home and landscape in a variety of ways. Lighting walkways and paths ensures your guests are able to navigate these areas safely. This includes making your frequently traveled paths visible when ice and snow are present as well. You can also increase safety and beauty through zone lighting. 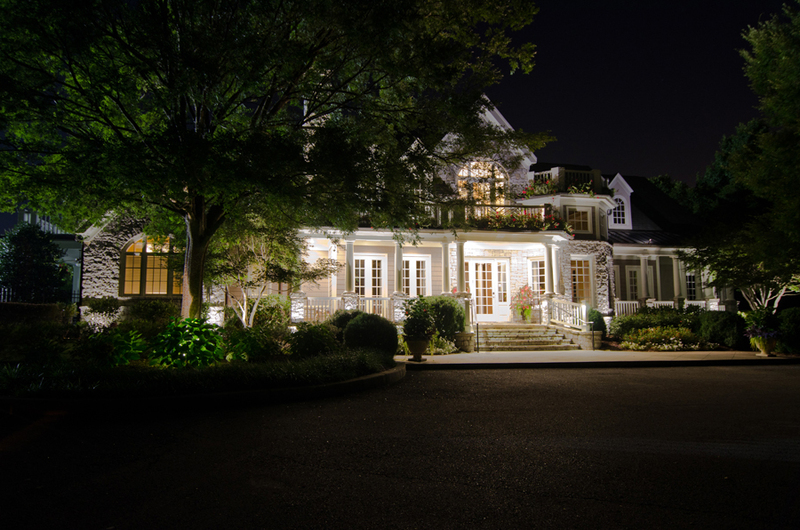 Zone lighting is used to illuminate areas of your yard and landscape for nighttime use. For example, when you spend time outdoors with family and friends, you’ll need adequate outdoor lighting to illuminate your landscape areas. Zone lighting is an effective way to light a patio, deck, garden, pool area or outdoor seating area. For enhanced safety we also suggest illuminating sidewalks, driveways, garages and entryways to keep your landscape safe after dark. Keep in mind, since daylight savings time has ended our homes are darker for longer periods of time. Many Nashville homeowners are coming home from work and school to a dark home. Outdoor lighting can put an end to dark winter evenings for good. Outdoor Lighting Perspectives of Nashville illuminated the pool house and landscape surrounding the pool at this home in Belle Meade. Beauty -The beauty that outdoor lighting provides is reason enough to celebrate year round! A professional outdoor lighting design encompasses all the power of curb appeal by beautifying your home and landscape, and can even change your mood. 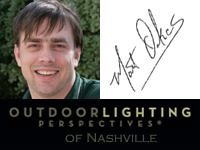 LED Outdoor Lighting – Over half of our outdoor lighting installations here at Outdoor Lighting Perspectives of Nashville are LED. LED outdoor lighting is more energy-efficient and leaves less of an impact on the environment than other types of outdoor lighting. It can save a homeowner thousands in energy costs over the LED’s lifetime. In addition, since they contain no glass components, they are not vulnerable to vibration or breakage like conventional bulbs and make the perfect lighting for outdoor applications. LED lights are also free of toxic chemicals. Most conventional fluorescent bulbs contain a multitude of materials such as mercury that are dangerous for the environment and make disposal dangerous. The absence of these materials will help you reduce your carbon footprint by up to a third. LED is safer in many regards too, because it generates light from cool burning technology, and it uses less wire to install properly. 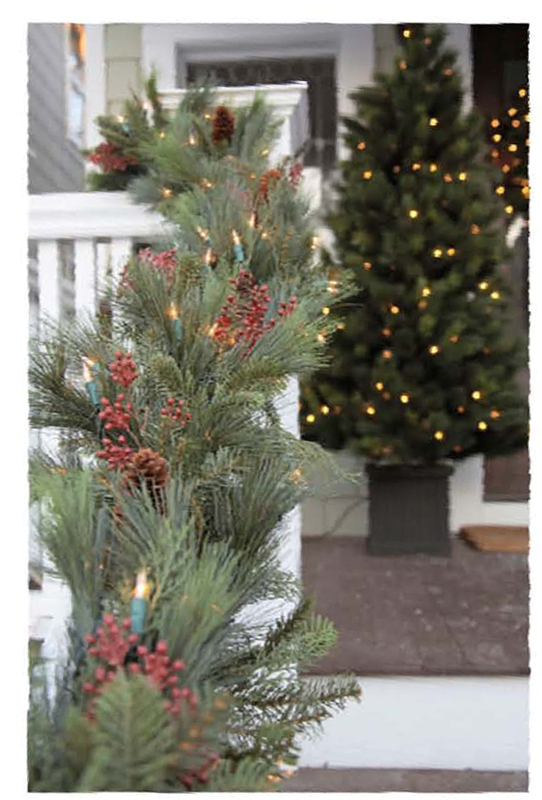 We offer a wide selection of lighted and unlighted wreaths and garlands for the holiday season. Sometimes, Less is More – If you want to have your cake and eat it too, Outdoor Lighting Perspectives of Nashville can design and install a traditional outdoor lighting system for you and still add little touches of holiday magic in time for Christmas. We offer lighted and non-lighted wreaths and garlands that can add seasonal elegance and complement your new outdoor lighting this season! This entry was posted in Landscape Lighting, Outdoor Lighting, Outdoor lighting fof enhanced safety, Outdoor Lights Nashville, Residential outdoor lighting and tagged architectural lighting, Christmas lighting Nashville, Garden lighting, Landscape Lighting, lighting design, Nashville architectural and facade lighting, Nashville deck and patio lighting, Nashville entry lighting, Nashville LED outdoor lighting, Nashville outdoor lighting, Nashville pathway lighting, nashville patio lighting, Nashville safety lighting, Nashville security lighting, Nashville TN lighted wreaths and garland for the holiday home, Nashville walkway lighting, Outdoor Lighting Perspectives of Nashville, The benefits of outdoor lighting for your Nashville TN home by outdoorlightingnashville. Bookmark the permalink.